One freezing morning in early March I made a dash for a tiny police station in rural Minnesota. I was a frightened Amish girl with nowhere to go, a second-grade education and no ID or social security card... Based on the authors tragic true life story. When I was six years old my family started to live and dress like the Amish. My sister and I were kept as slaves on a mountain ranch where we were subjected to almost complete isolation, sexual abuse, and extreme physical violence. My step-father kept a loaded rifle by the door at all times and we were to terrified to try to escape.We knew that no rescue would ever come because only a couple of people even knew we existed and they did not know us well enough to care. 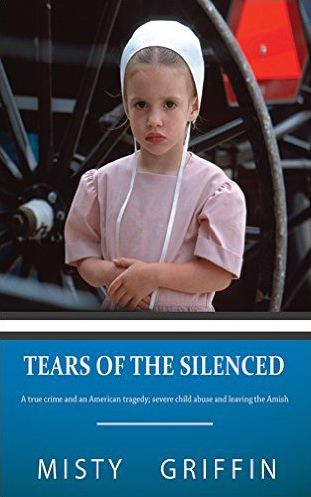 In my late teens, my parents feared we would escape and took us to an Amish community where we were adopted and became baptized members.I was devastated to once again find myself in a world of fear, animal cruelty and sexual abuse. Going to the police was forbidden. A few years later I was sexually assaulted by the bishop, I knew I had to get help and one freezing morning in early March I made a dash for a tiny police station in rural Minnesota. When I refused to recant my police report I was excommunicated from the Amish and found myself plummeted into the strange modern world with only a second-grade education and no ID or social security card. After we had learned to crochet, my mother took us to the local thrift store and started buying a bunch of dresses for us. We were not used to wearing dresses, or anything nice for that matter. Being the little girls that we were, we had fun twirling around in our new full-skirted dresses. A few days later, Brian came home with some plain, white muslin dinner napkins. Mamma tied them around our heads and put one on hers as well. Brian stepped back to look at us and smiled. From that day on, he took up reading the Bible to us every morning before he left for work. I liked the stories and listened attentively to the ones about the kind man called Jesus. I wondered why Brian was not more like him, especially since Jesus was God’s son and we were supposed to be following God’s word to the fullest. Aunty Laura seemed to be in shock over our new way of dressing and argued about it many times with her brother. He told her she belonged to the wicked world that he was no longer a part of. It was clear that he enjoyed being the most religious and pious member in his family now. At first, my sister and I hated wearing the veils. They were itchy, and we both thought they looked ridiculous, but whenever we took them off, we were severely beaten and had to listen to Mamma or Brian read scriptures to us. We were also told that we would burn in hell for our evilness. Now Brian and my mother had a new avenue to make us comply with their every demand. Any supposed mistake was punishable with severe beatings that were supposedly for the good of our souls. One such mistake would be talking to anyone other Mamma and Brian. We hardly ever said a word. We spoke so little during our childhoods. We were like ghosts who people barely seemed to notice. It has been ten years since Misty left the Amish. She was shunned (outcast) after she refused to recant her police report against the Amish bishop who sexually assaulted her. Calling the police is completely forbidden among the Amish. She is the survivor of horrific child abuse and hopes to inspire people with her life’s story. It is her sincere wish to show people that no matter what you have been through in life the impossible is possible. Her life’s story proves this motto. 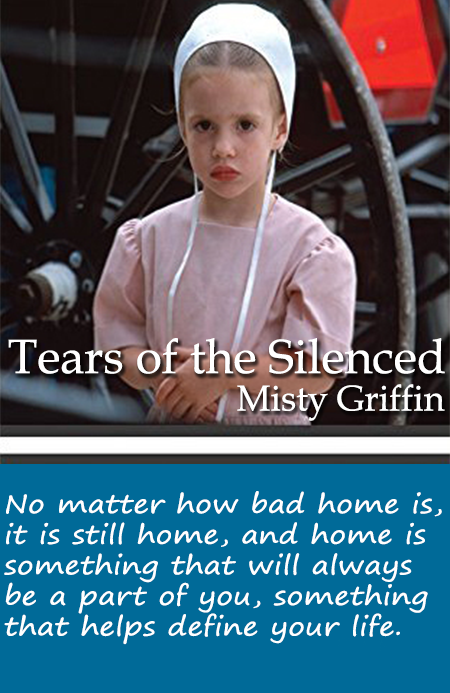 Misty is currently a nursing student and the recent author of her memoir Tears of the Silenced. She is also an active advocate for child abuse and sexual assault awareness.